Schools have started using biometric technology, typically electronic fingerprint systems to address various issues such as addressing student truancy, school lunch line delays etc. Fingerprint attendance systems are already being successfully used in many industries for workforce management. Now schools and other educational institutions too can benefit from this technology by achieving better security and accuracy in student attendance tracking. Fingerprint systems can be extremely beneficial for school lunch line by promoting smooth flow and cashless transactions. Students are usually in a hurry and have limited time to get their lunch. The integration of fingerprint biometrics in school lunch line will help to provide speedy service to hungry students and ensure that every student gets lunch irrespective of whether they remember their card or PIN. Their fingerprint is the password now. Why do schools need biometric systems? There are many areas within a school where students are required to identify themselves in order to access services. These areas include the cafeteria, library, class attendance etc. The commonly used identification methods such as visual identification, ID cards, PINs, card punches etc. pose a lot of challenges and have certain limitations. These methods are unable to provide accurate identification and the administrators have to spend time and resources in correcting errors. For example, a card based solution can result in lunch line delays and proxy attendance. If a student forgets to carry their card they are unable to swipe attendance or access lunch. A password is also not a solution since students will be required to remember the password. This is an additional burden and does not go well with students. Moreover, cards can be stolen, lost or damaged. A bully could steal a student’s card and take his or her lunch. If a card gets lost or damaged, then additional expenses need to be incurred for replacing the card. Visual identification may not be suitable for large group of students and can lead to security concerns and wrong attendance reporting. It cannot solve the issues of proxy attendance and other loopholes such as bullies eating lunch of other students by using their cards or passwords. A biometric system can effectively eliminate these problems and streamline school operations by eliminating the need to track and reconcile attendance data. How do biometric systems help schools to eliminate the student identification problems? As biometrics is an automated identification method that verifies individuals based on their unique physical or behavioral trait, they are impossible to steal or replicate. The earlier student identification methods provided access to students based on something they have (card) or something they know (password or PIN). Biometrics provides access based on their unique traits such as fingerprints, face etc. Hence they guarantee that none but the authorized student will be able to get his lunch. No bully can steal the student’s fingerprint and hence it assures the highest accuracy. A fingerprint system will uniquely identify students from the entire school population. It is their unique password that is inherent to their being. It also eliminates manual reconciliation of attendance data and saves administrator’s time resulting in operational efficiency. 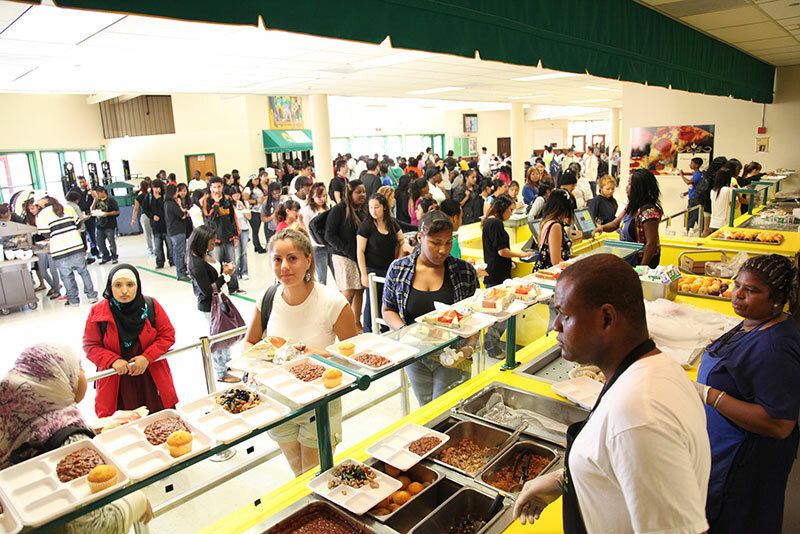 What are the problems in current lunch line systems in school? Schools commonly utilize meal tickets with bar codes or ID numbers to identify their students at lunch time. But this card and number system lacks efficiency. Even when teachers hand out the cards right before lunch time, the students would still lose their cards. This is mostly true of young students who are burdened with the task of remembering their cards to get their lunches. Students would also share cards among themselves and sometimes the cards were double scanned which led to accounts getting double charged. Even when ID numbers were used several errors cropped up. As the cashiers had to do several things at once with large number of students, they were prone to making mistakes. This resulted in depleted accounts and angry parents who were unhappy with the lunch services provided in schools. There were also wasted resources as new laminated cards had to be made every day for students whose cards were stolen or misplaced. Another big problem was the delay in lunch lines. Students usually get 15 minutes to grab their lunch and lunch line traffic would mean they have to skip their lunches. With conventional systems, the lunch lines would be so long and service so slow that one lunch would be carried over to the next lunch time. This means many children would not have time to eat and were not getting a whole meal. This would lead to wasted recess time and food. Moreover, students were getting late while going back to class. When a student would forget their PIN or ID cards, it would result in longer waiting times for the other students. This would leave both the students and the cafeteria staff frustrated. There are some cases where students are entitled to free or a reduced price lunch which is provided anonymously. But when a student forgets his card he might feel embarrassed and might skip taking his or her lunch. In a worst case situation, bullies might steal the PIN or card of another student and use it to pay for their meals fraudulently. How can fingerprint biometrics overcome the problems in school lunch line systems? A fingerprint system is definitely a better choice and eliminates the problems discussed above. It not only provides speed and accuracy but saves time and resources by eliminating the inefficiencies of card based systems. It is able to interface with the back-end accounting and inventory systems in addition to providing accurate and quick check-out to students. Unlike cards or PINs, students can never forget their fingers and hence will never miss their lunch. Now students will be able to zip through lunch lines rapidly with a simple scan of their fingers. This system is sure to please the parents as well. The implementation of fingerprint scanning for students will enable speedy transactions in lunch line POS systems thereby ensuring a smooth flow. It will also maintain student security and accountability. Students will no longer be burdened to remember their cards or PINs when they get to the cafeteria register. The cashiers will also be happier with this system as they are required to handle any disgruntled students. A fingerprint POS system is intuitive and straightforward. For identity verification, a student is simply required to place his finger on the scanner. The complete process takes less than few seconds and the transaction is recorded. In most schools, the lunch time is not more than 15 minutes and a fingerprint system will ensure that students can quickly get in and out of the lunch line and would not have to miss their lunch. This system is highly accurate, reliable and speedy that helps to maintain a smooth lunch line flow. Nowadays, many schools want to implement fingerprint technology in their cafeteria systems because of its speed and affordability. Biometric systems boost the security and reliability of lunch line systems in addition to eliminating wasted time and resources. Fingerprint technology is a cost-effective and modern technology that can be easily integrated with any cafeteria management system in schools. With fingerprint systems, school administration can be assured that their students account are safe and students are moving rapidly through the lunch line. These systems ensure that every student can enjoy their lunch with enough time for recess.